SermonAudio.com | SermonAudio Tip: SermonAudio Integrates With Android Wear! 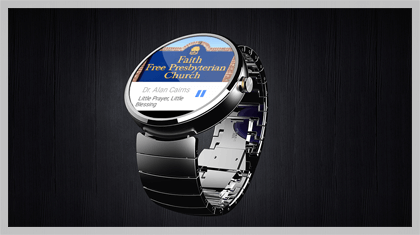 SermonAudio Integrates With Android Wear! If you own a Android Wear smartwatch you might be interested to know that SermonAudio already integrates beautifully well when listening to sermons or even the 24x7 Radio! See what's currently playing with a glance at your watch or control the sermon's playback (pause/play, fast-forward, rewind) using the watch's interface. Complete with beautiful, color-coordinated album art! 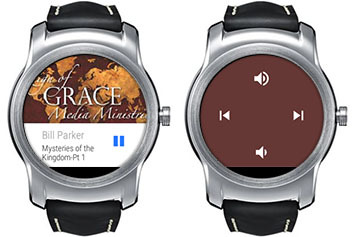 Android Wear devices can control the SermonAudio Android app's audio player. When the Wear device is paired with your device, simply enable notifications. 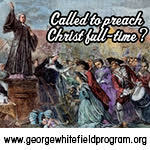 Then when a sermon begins playing, the Wear device will automatically show a notification with the sermon's speaker and title, along with a play/pause button. Swipe right for fast forward, rewind, and volume controls. Android Wear is a version of Google's Android operating system designed for smartwatches and other wearables. By pairing with Android mobile phones, Android Wear integrates mobile notifications into a smartwatch form factor. Android Wear smartwatches feature always-on displays. Why do you think everything can happen this way. I can't believe it. Can someone tell me how to got this watch? I have a Samsung Gear. Any future plans with them, or can the app be downloaded to it do you know? Never realized SA responded to it either, so a belated, thanks. You do not need an app on the watch, the SermonAudio app for Android should already work in conjunction with the watch. 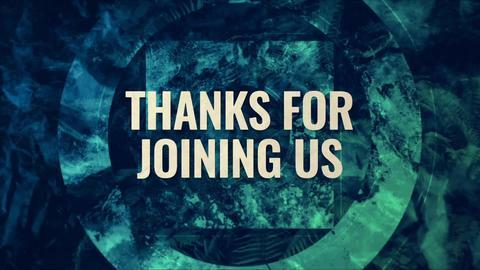 If you need further assistance please write us an email at info@SermonAudio.com. 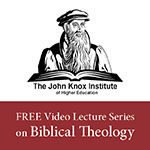 Can i send to you message for my question? Green Diamond Company is the house of best quality Dates Fruit located in Malaysia; the heart of east Asia. The vision of company is to deliver the excellent grade of dates to every one’s home in the globe. Through the journey of the expansion from its’ original country in middle east toward Asia, Green Diamond has been always committed to provide the unique varieties of dates to all the main Asian countries like Malaysia, Indonesia, Thailand, Brunei and Singapore. The company’s mission is to expand its’ unique and most reliable brand of dates internationally. The new Samsung Gear have a lot of future plans and i really like it. Horrible! Worst news I've heard all day!